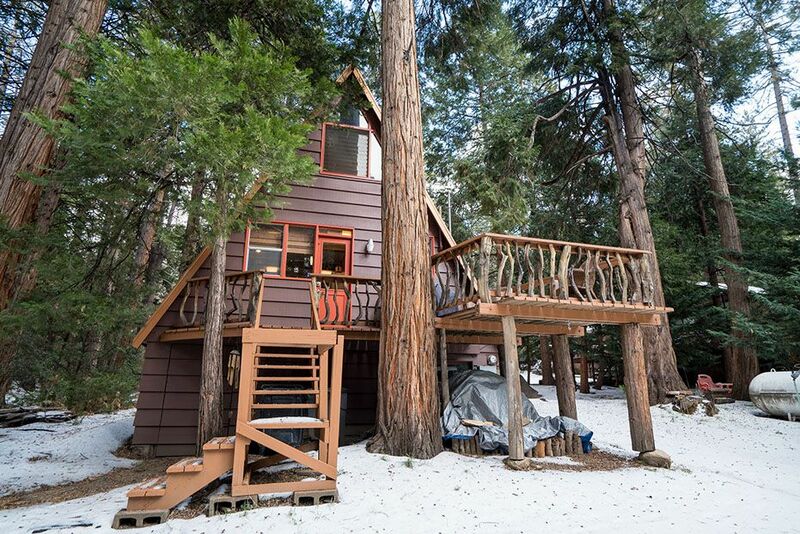 The town of Idyllwild is nestled in San Jacinto mountains which are located in southern California, east of the infamous Los Angeles. 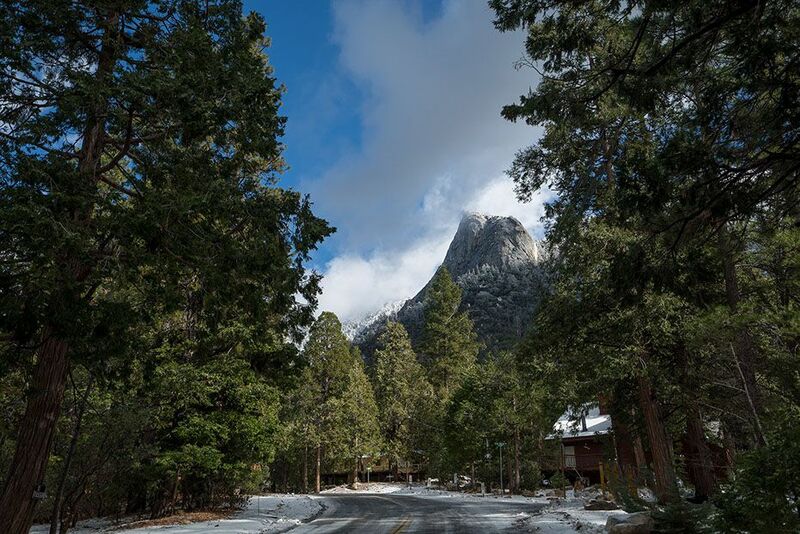 Idyllwild provides a much welcomed escape from the hustle and bustle of the big city, letting city refugees get a feel for mountain and small town life. 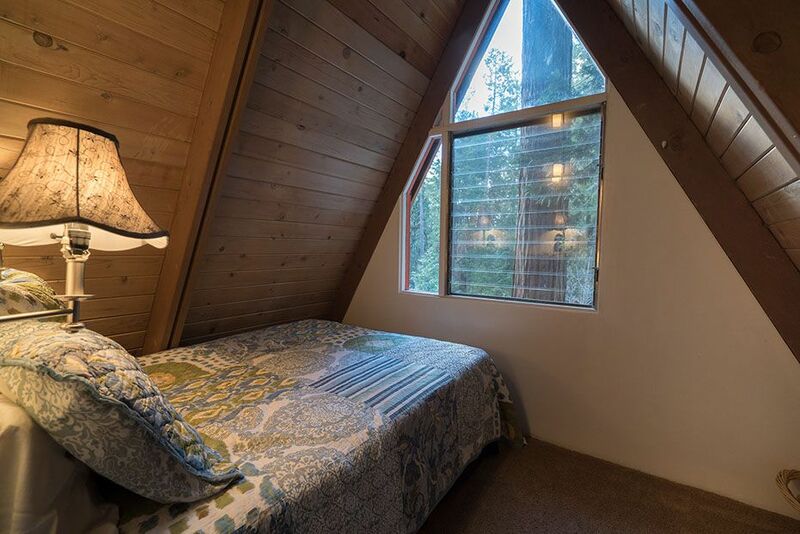 This recently remodeled accommodation is perfect for people who seeking nature and inner peace out of everyday stress. 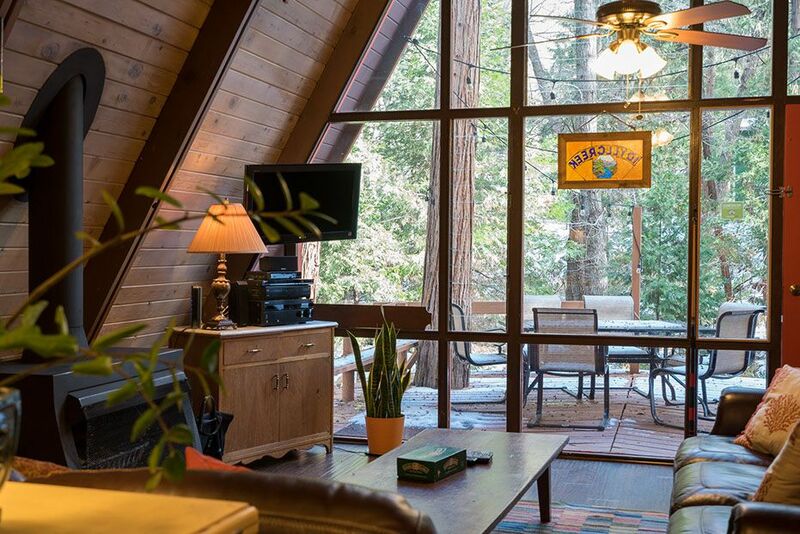 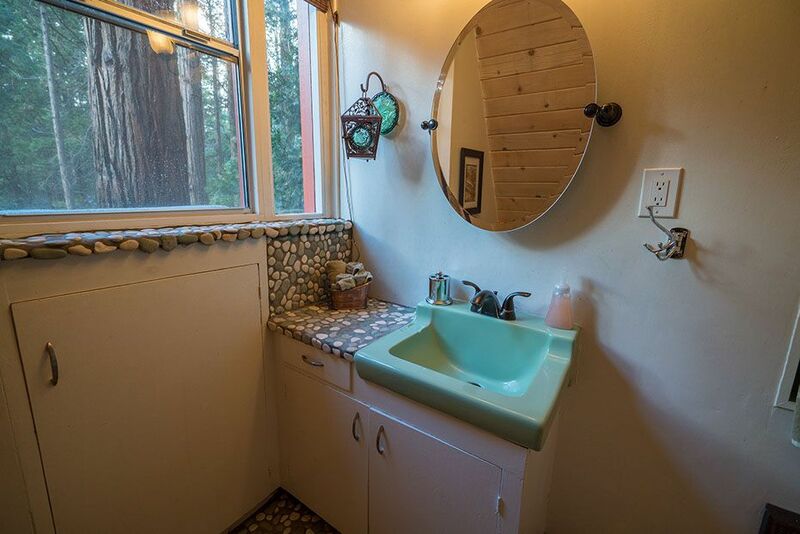 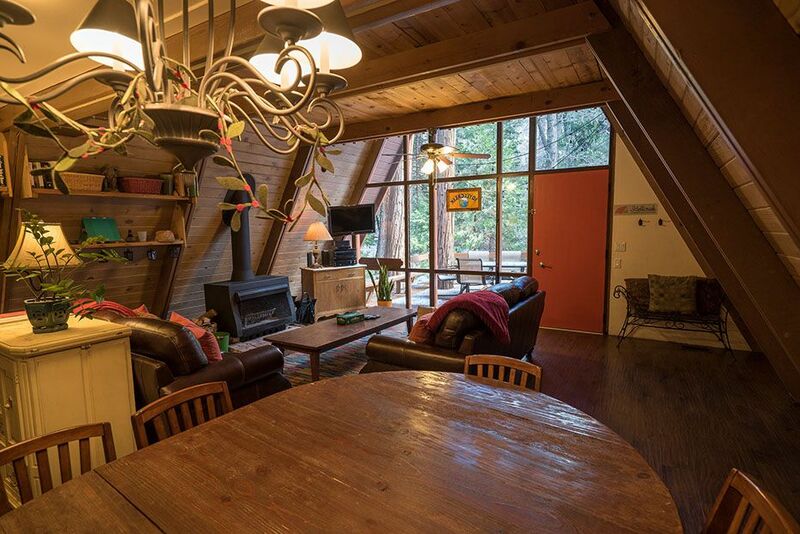 Porch calls to spend the entire vacation on it watching the beautiful surroundings, but there are plenty more things to do in Idyllwild like hiking, rock climbing, or mountain biking. 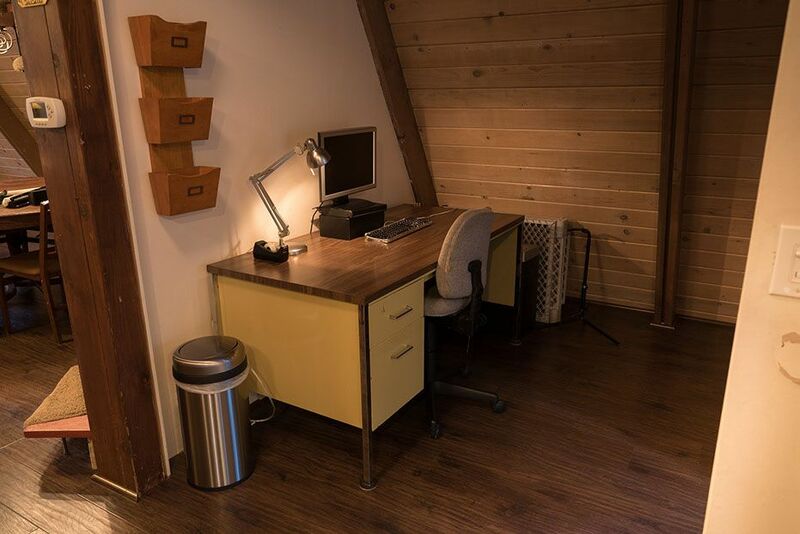 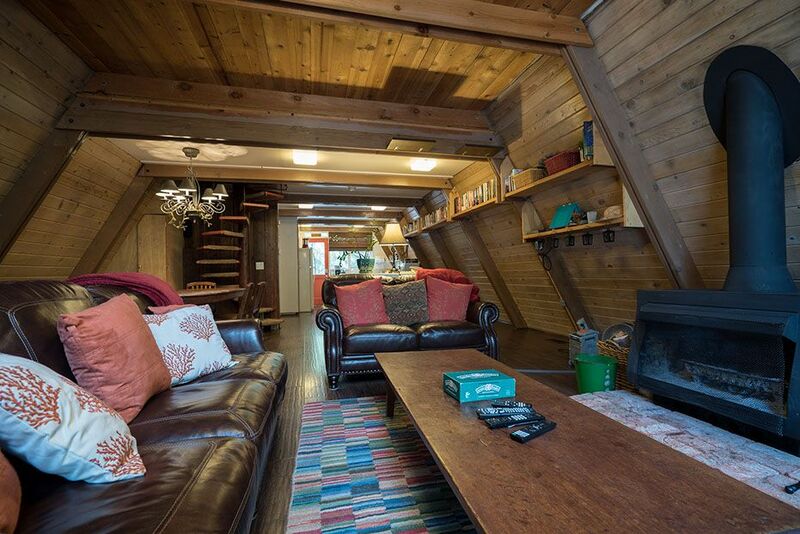 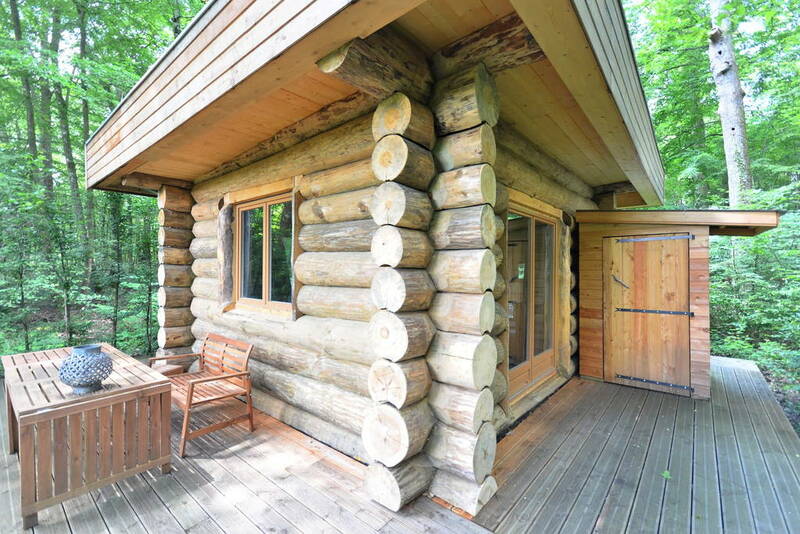 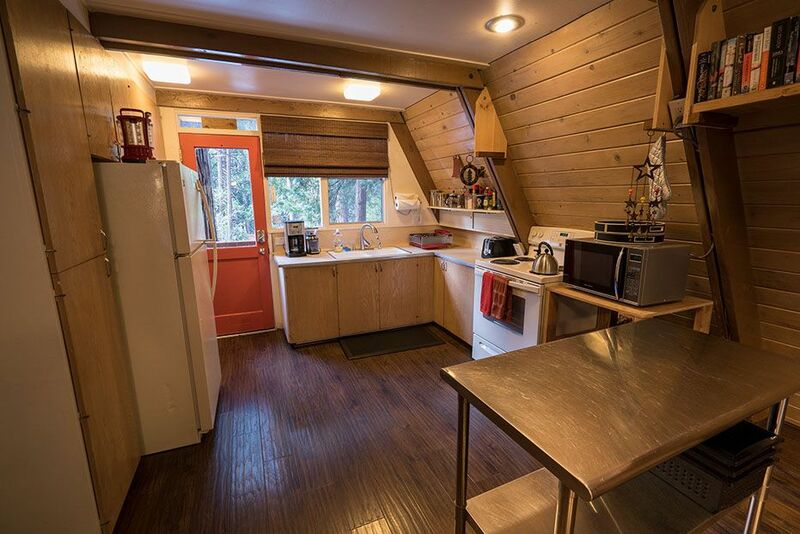 Unique cabin has a wonderful wooden interior. 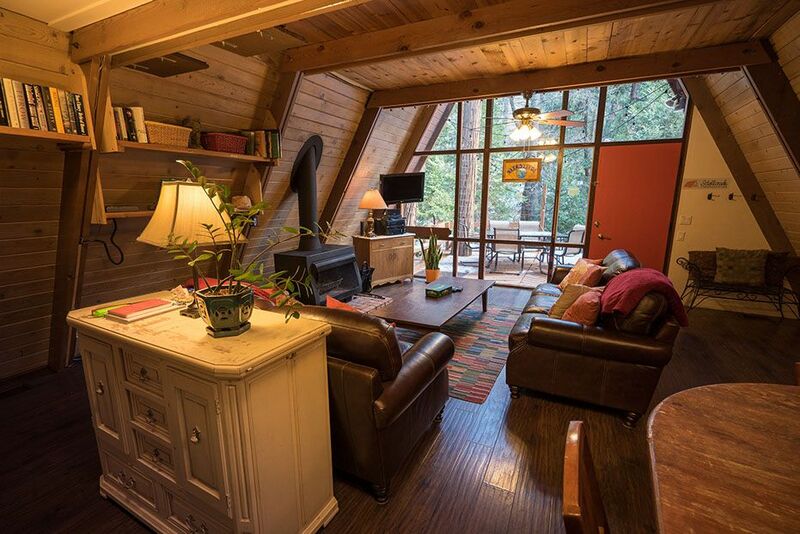 Living room with a wood-burning fireplace will bring you the feeling of mountains idyll and coziness of the home at same time. 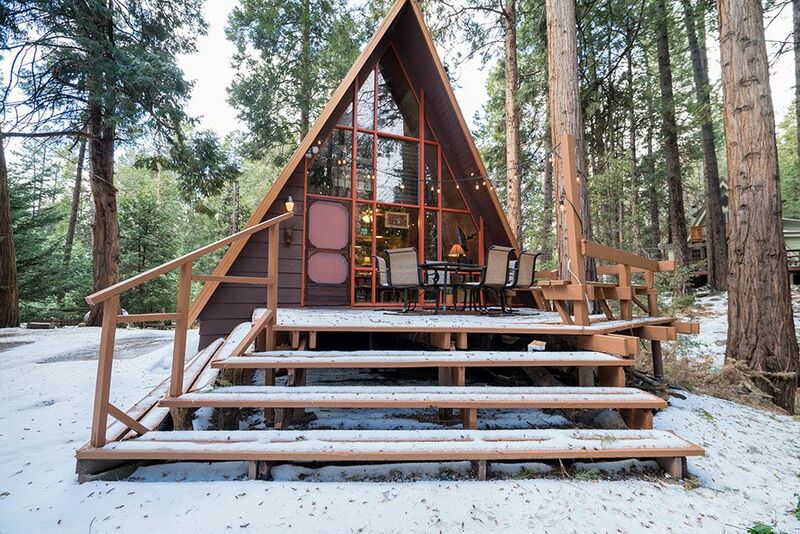 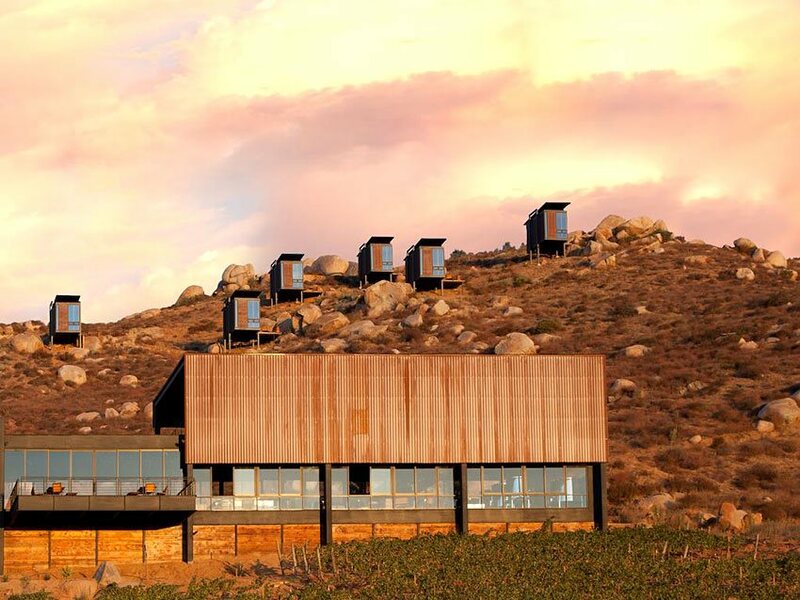 If you are around, check the availability on Glamping hub (from $215 per night). 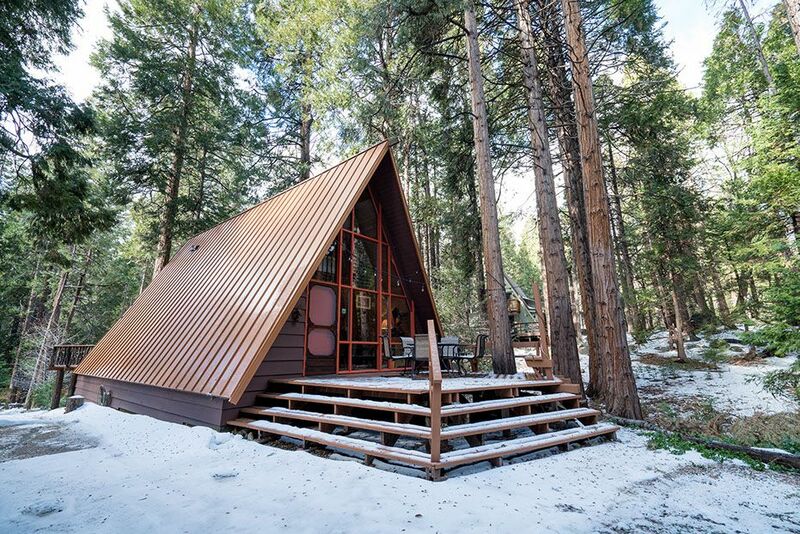 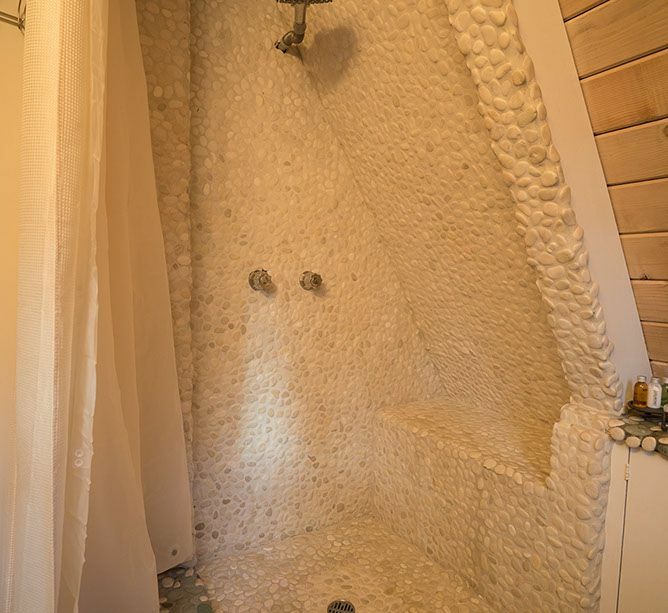 Notes from the host: The best part about this luxury, A-frame cabin, however, is that even when the summer heat gets to be too much in the rest of the state, the valley in which the accommodation is situated maintains a much more manageable temperature. 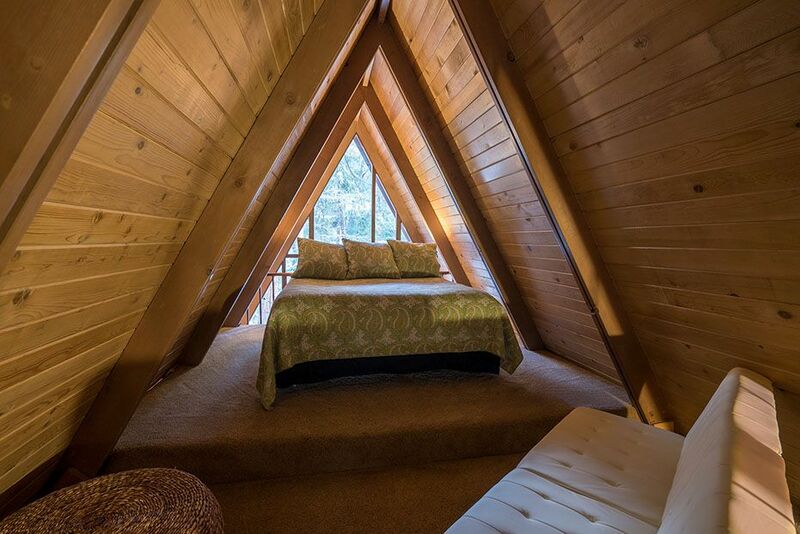 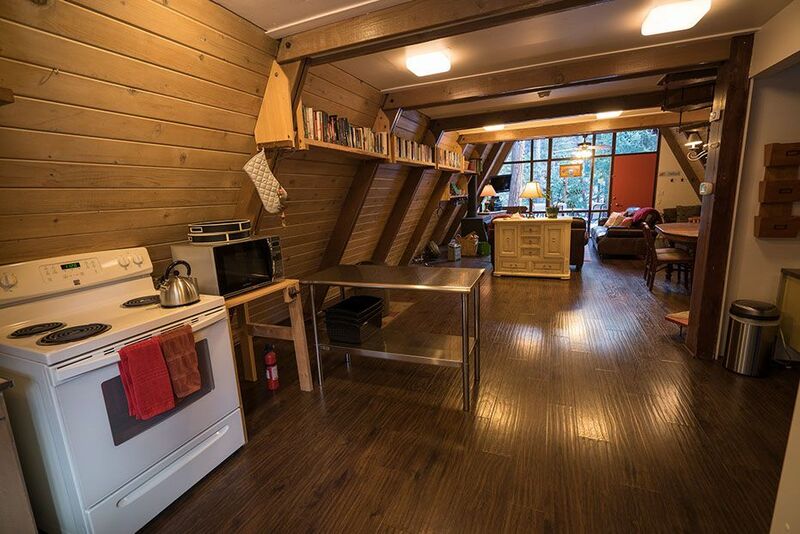 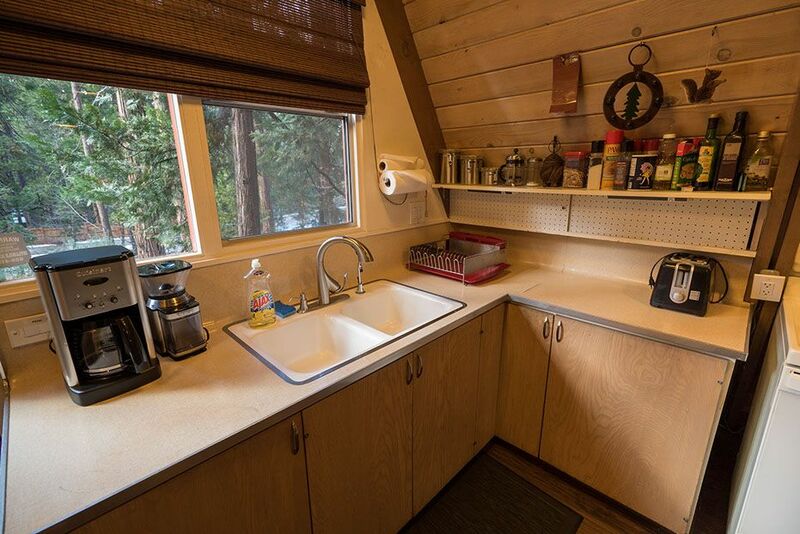 1 Comment on "Unique A-Frame Cabin in the Mountains"
Where did you get the fireplace?